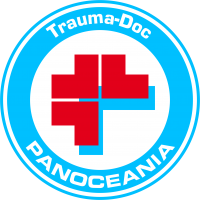 Trauma-Docs The Doctors of the Pan-Oceanian army have at their disposal the finest in campaign medical equipment. 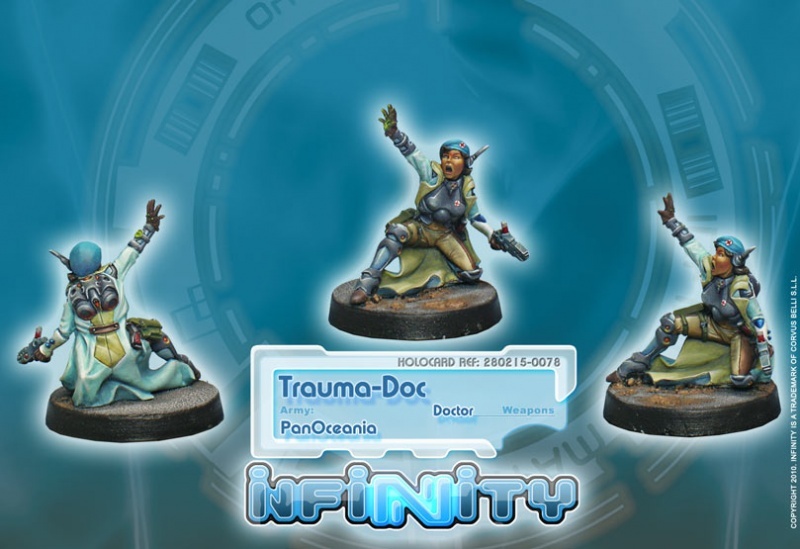 Their first aid kits contain medical biomaterial and semi-intelligent nanobots that are able to heal the most horrifying injuries in record time. Their electronic diagnosis systems hold up to every confidence the boys have in their infallibility. 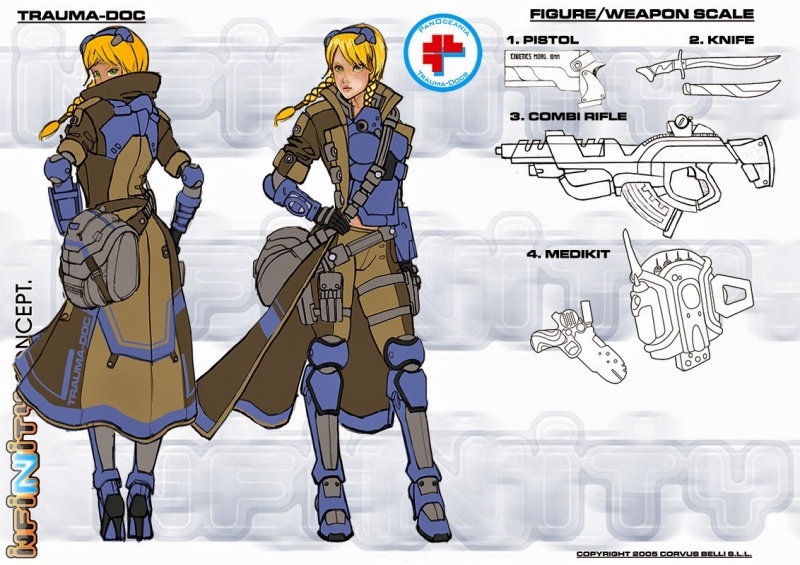 However, in spite of the technology, half a Trauma-Doc‘s work is based on speed, intelligence and guts, indispensable attributes when healing someone in the midst of Hell.